Blue, Green, Red and Yellow tops have a matching frame other top colours have a light Grey frame. Education nursery tables that are available in Yellow, Red, Blue, Green or Beech with frames to match excluding the Beech top that is mounted on a Grey frame. Delivered for free these tables feature a 50mm thick premium frame and is guaranteed for 10 years. These education tables are for primary schools and nurseries and are available for a free UK mainland delivery within 4 weeks from order. 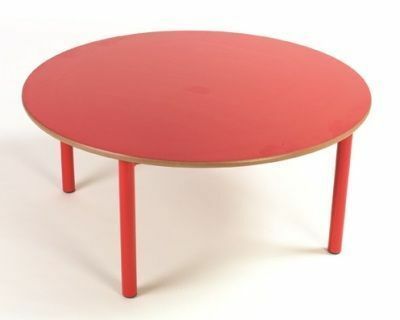 Available in Green, Blue, Red Yellow or Beech and features a premium 50mm thick premium frame that is finished in the same colour as the table tops except for Beech that is available with a Grey frame. Available with a 10-year factory guarantee as standard.